We just saw this come through our news feed this morning and we thought it was something we should share with all our readers in the Philadelphia area. Not the kind of contest we really want to be winning! 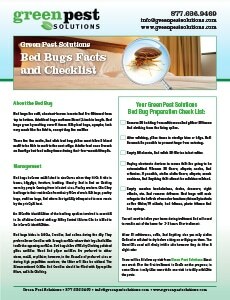 If you experience any problems with bed bugs or any other pest call Green Pest Solutions. We are a recognized leader in the pest management industry in the Philadelphia and the surrounding areas. 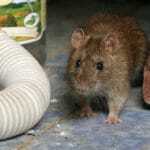 We offer the best in mice, rat , rodent, pest and termite control services using traditional treatment methods and green products. MEMPHIS, Tenn., June 11, 2012 /PRNewswire via COMTEX/ — Philadelphia has won the dubious title of most bedbug-infested U.S. city, according to the annual Most Bedbug-Infested Cities ranking, released today..
Philadelphia took the top spot from New York City, which held the title for two years. The list was created by compiling data from the 300 pest control branches across the country. The company created the ranking by evaluating service calls from customers, as well as confirmed cases by service professionals. The 2012 ranking proves bedbugs continue to be a problem across the country, with five cities – Cleveland, Houston, Indianapolis, Miami and New Haven – joining the top 15 this year. Other cities, such as Columbus, Dallas, Philadelphia, San Francisco and Washington, D.C., saw growing bedbug populations this year. Ohio continues to be a hotbed of activity, with three of its cities making the top 15. Check hotel headboards, mattresses and box springs for bedbugs and dark blood spots. Avoid storing your clothing in the hotel’s furniture drawers. Store suitcases on a luggage rack as far from the bed as possible. If you suspect your hotel has bedbugs, ask for a change of rooms. Bedbugs should only be treated by a trained pest control professional.